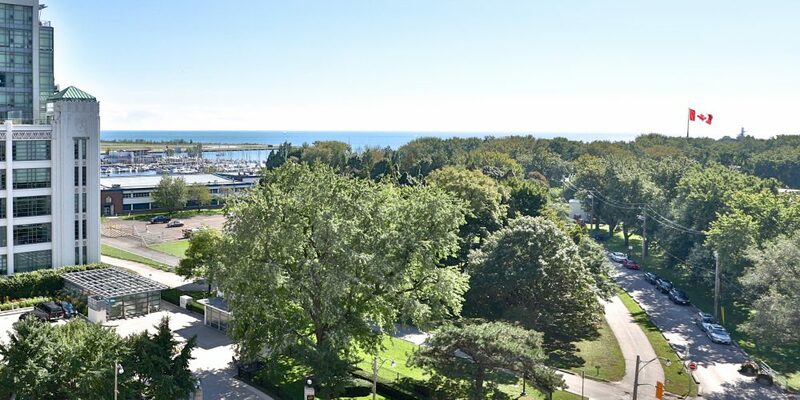 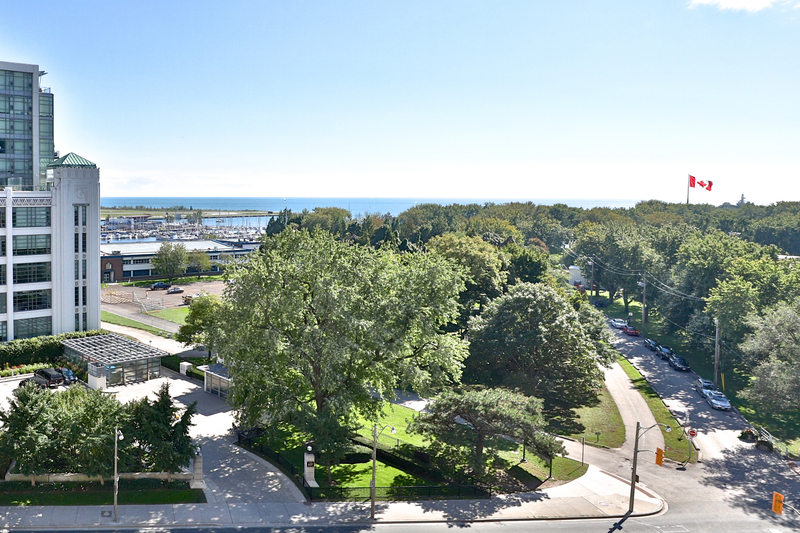 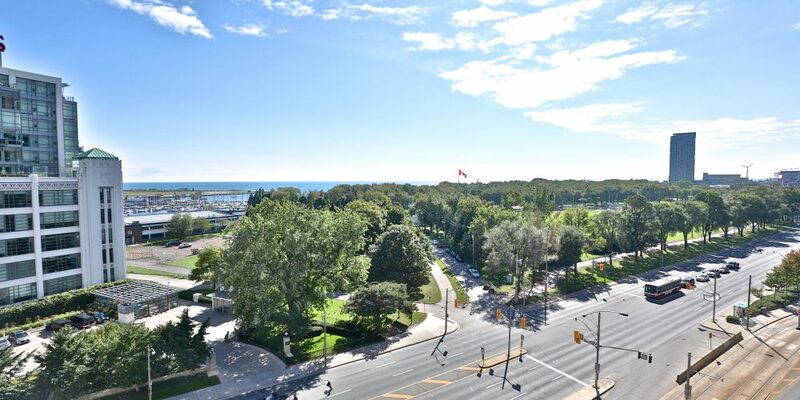 Spectacular South-West Views Overlooking Coronation Park And The Lake. 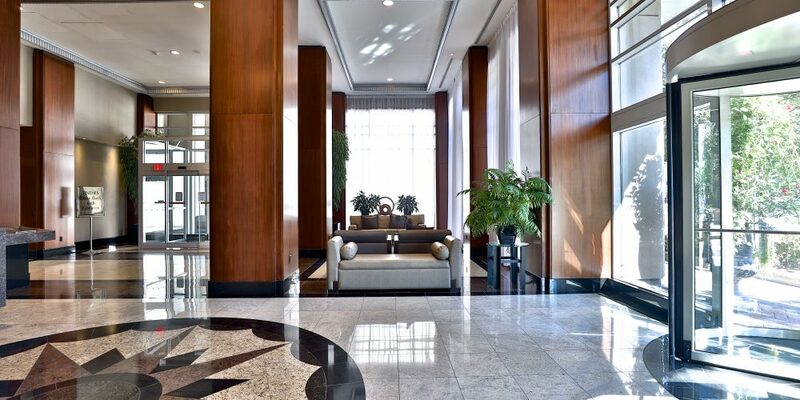 Luxurious Building With Fabulous Amenities. 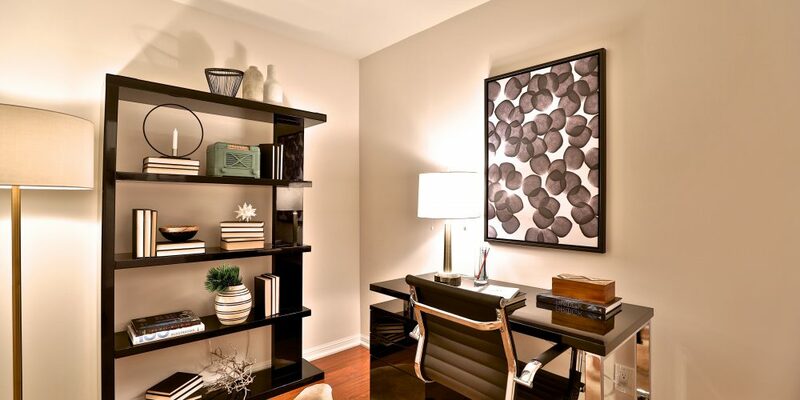 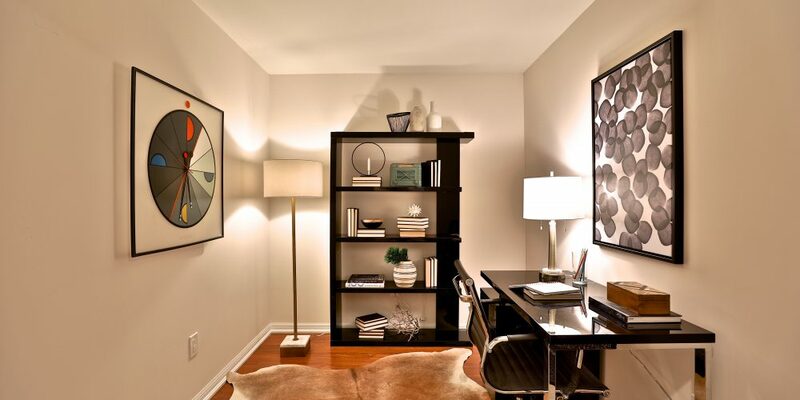 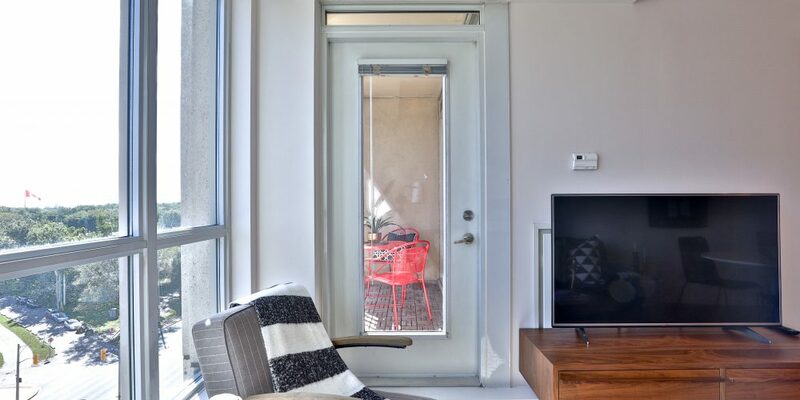 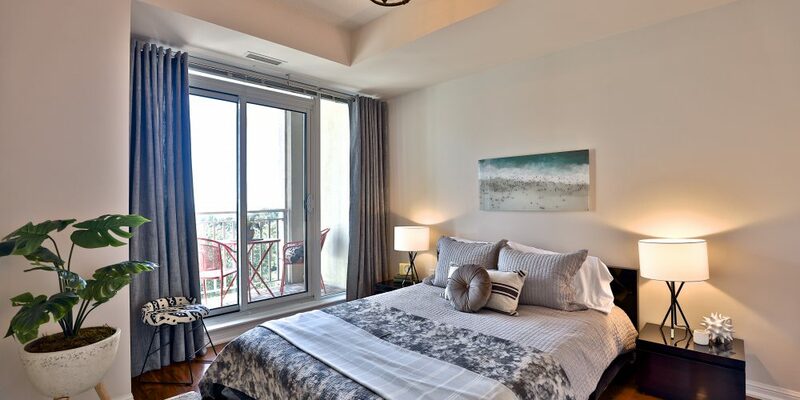 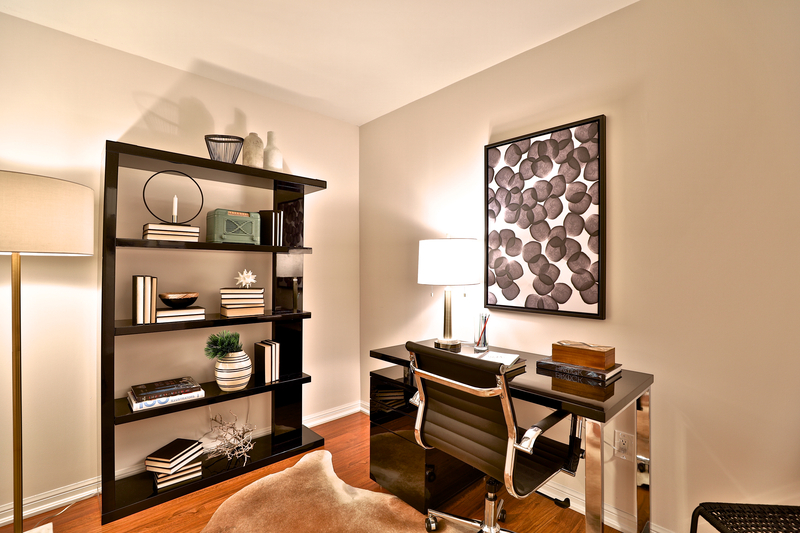 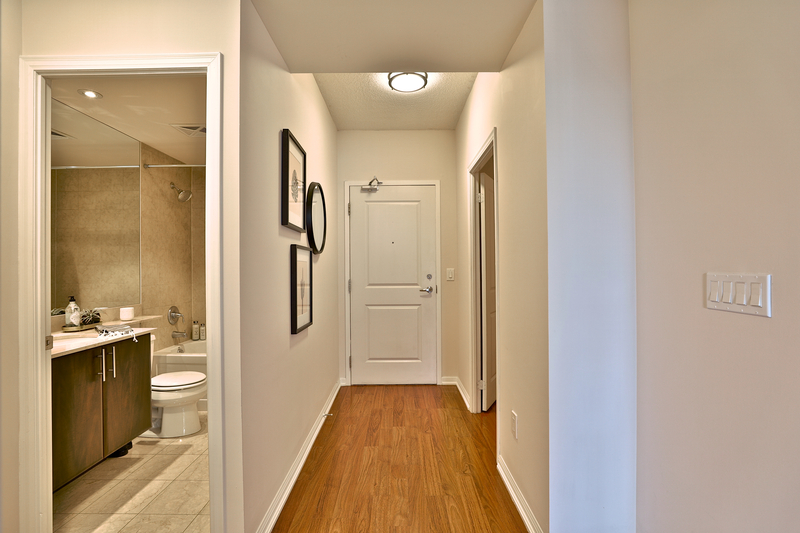 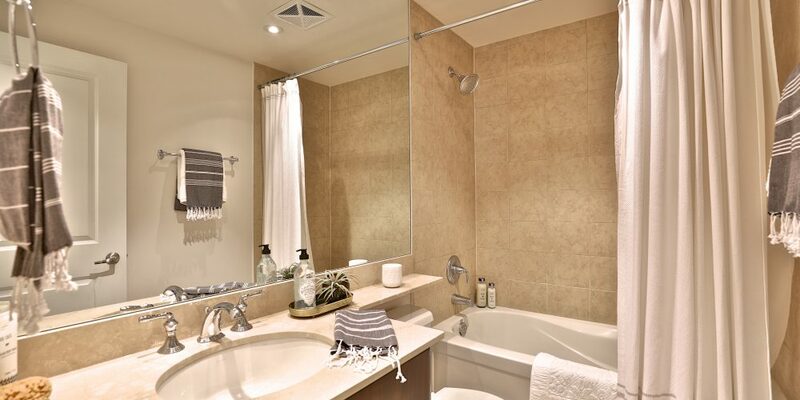 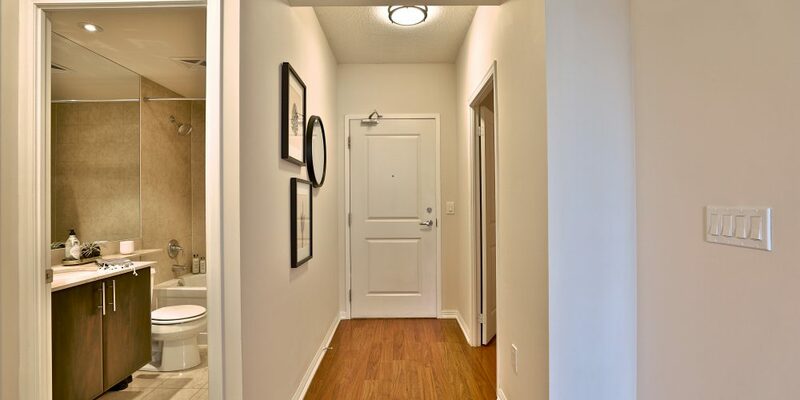 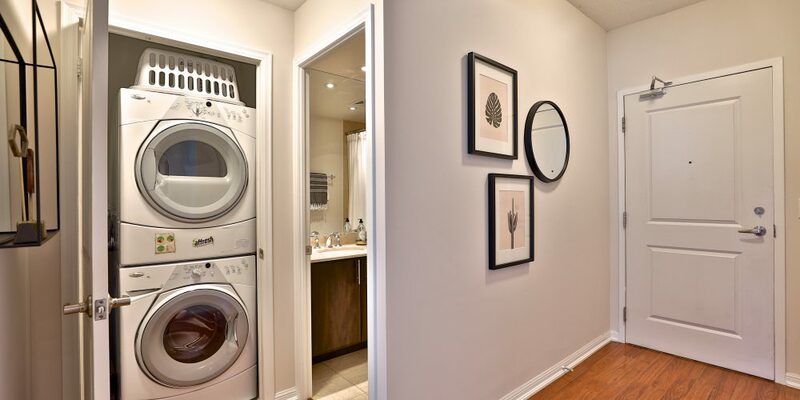 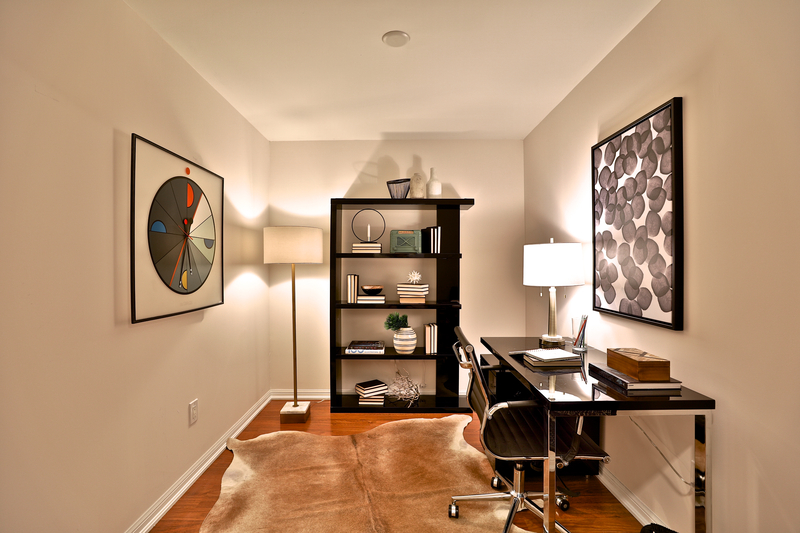 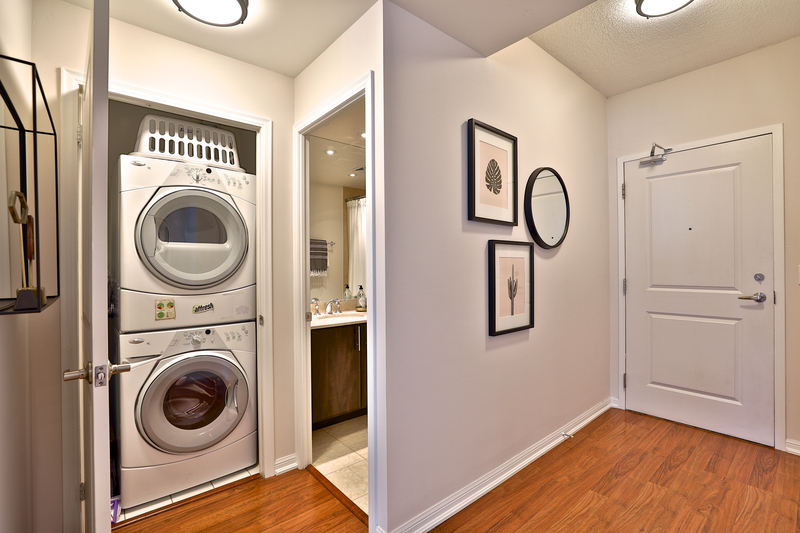 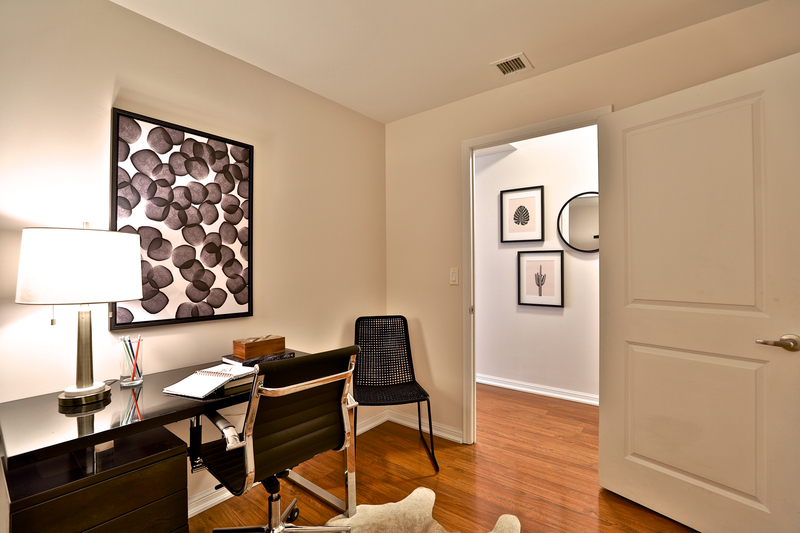 Large 721 Square Foot Bright One Bedroom Plus Den With Door (Can Be A Second Bedroom). 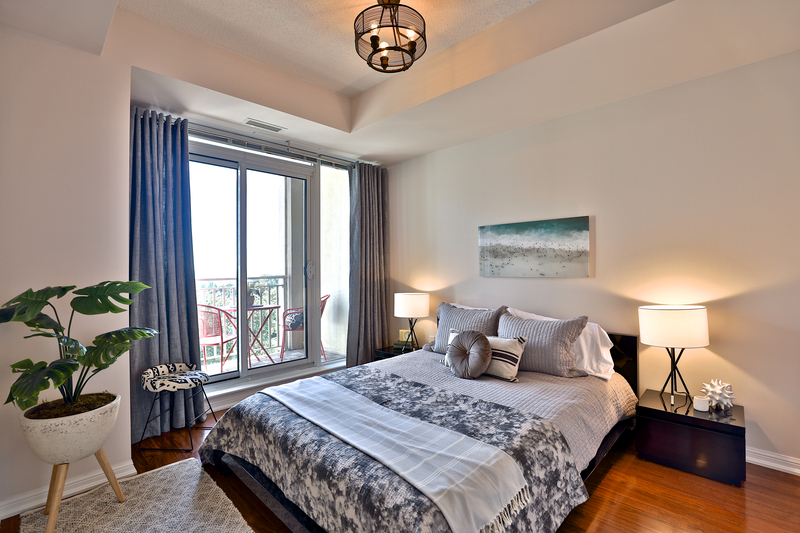 High 9 Foot Ceilings And Large Picture Windows. 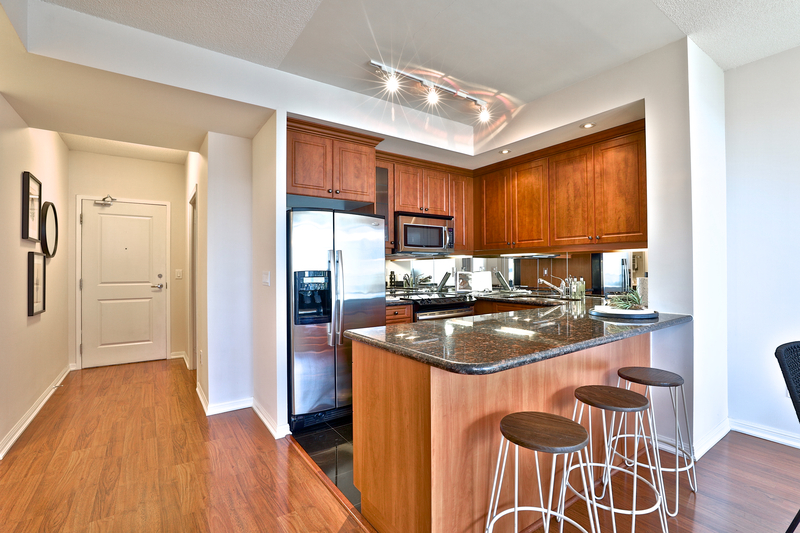 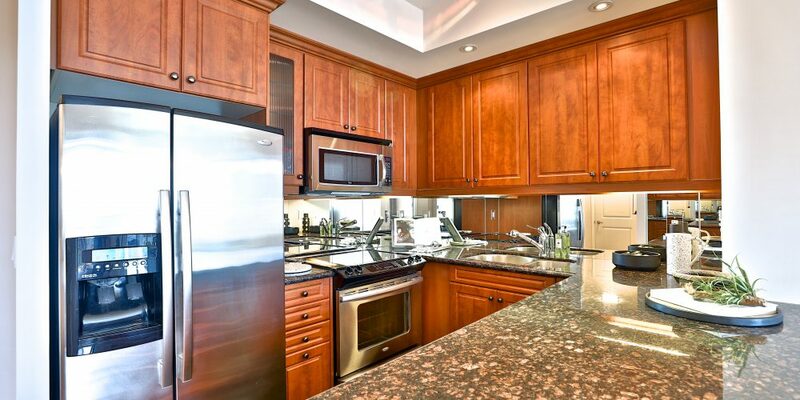 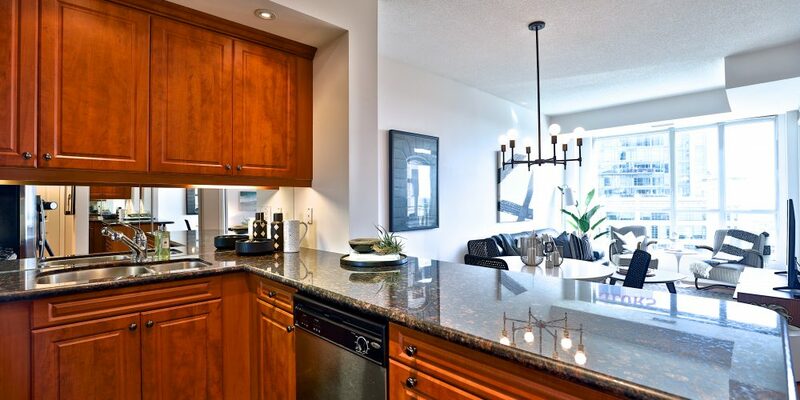 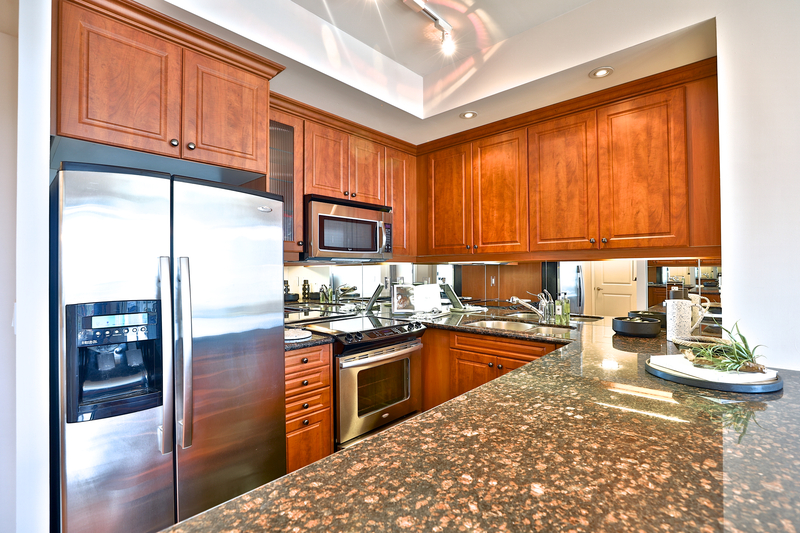 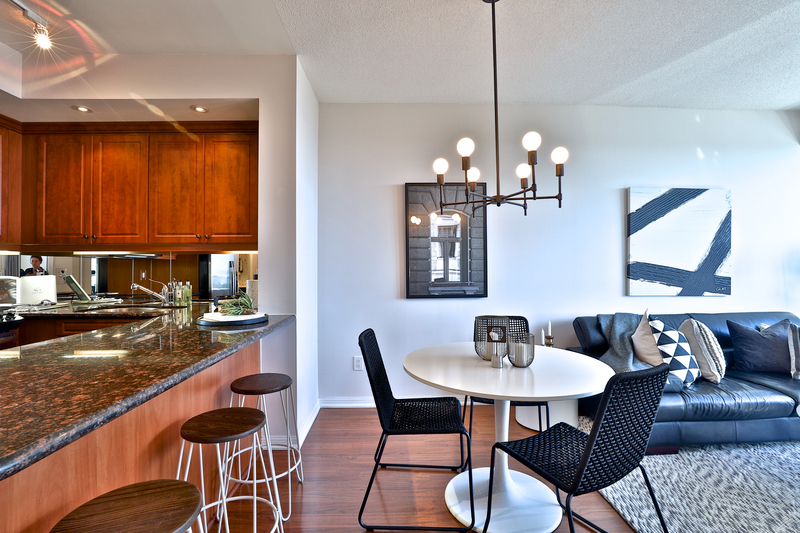 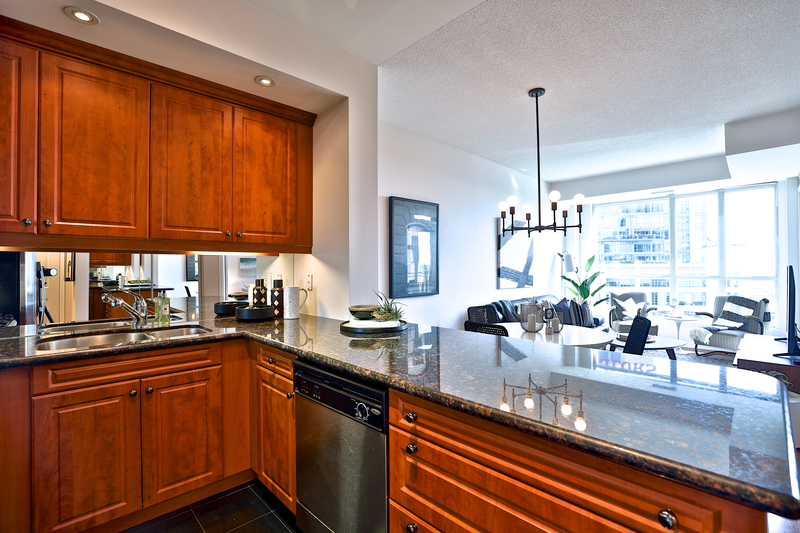 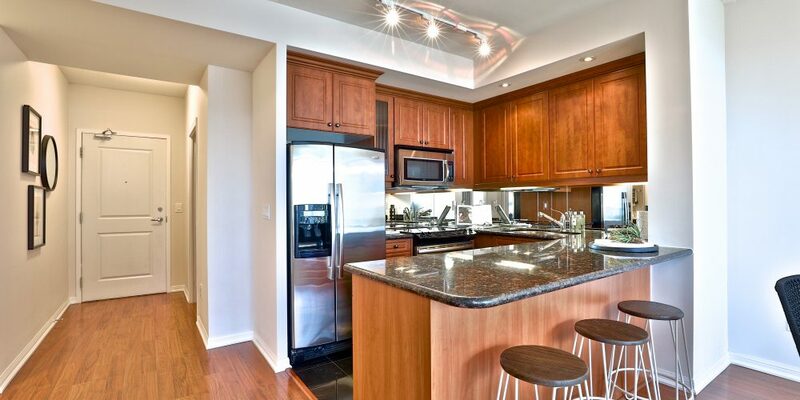 Modern Open Concept Kitchen With Granite Counters, Breakfast Bar And Stainless Steel Appliances. 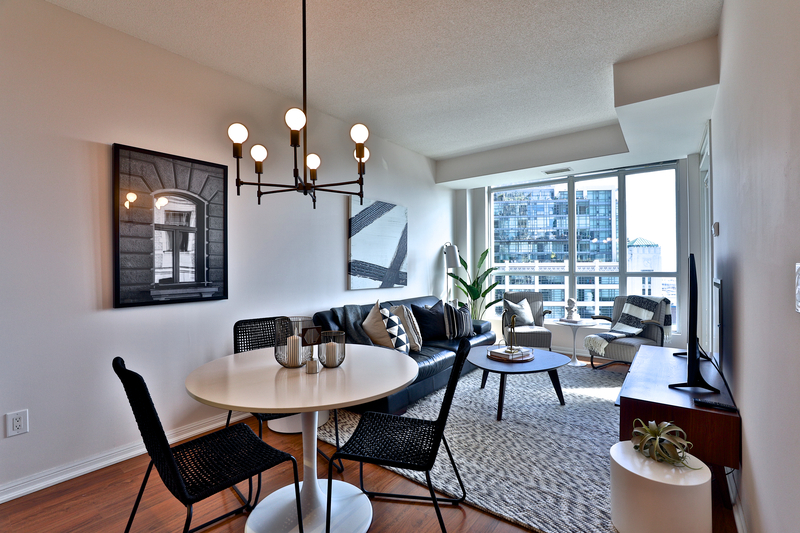 Well Proportioned Living Room And Dining Room. 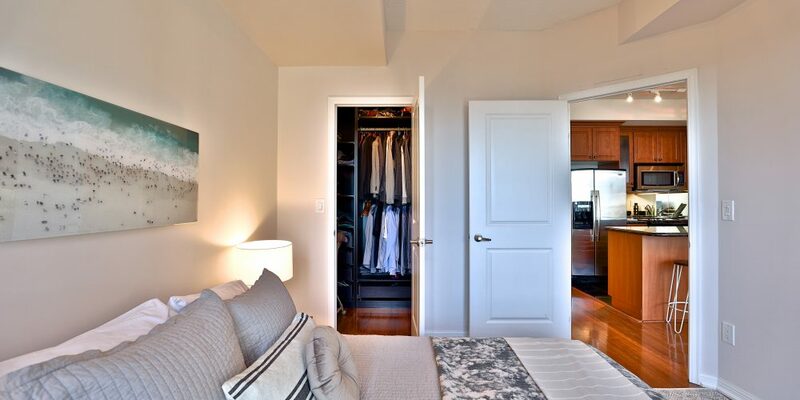 Spacious Bedroom Can Fit A King Bed And Has A Huge Walk-In Closet. 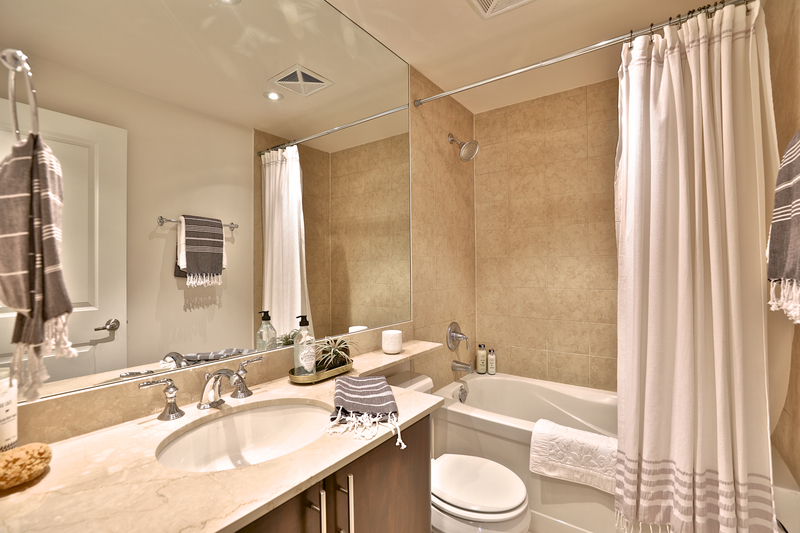 Upgraded Bathroom With A Deep Tub. 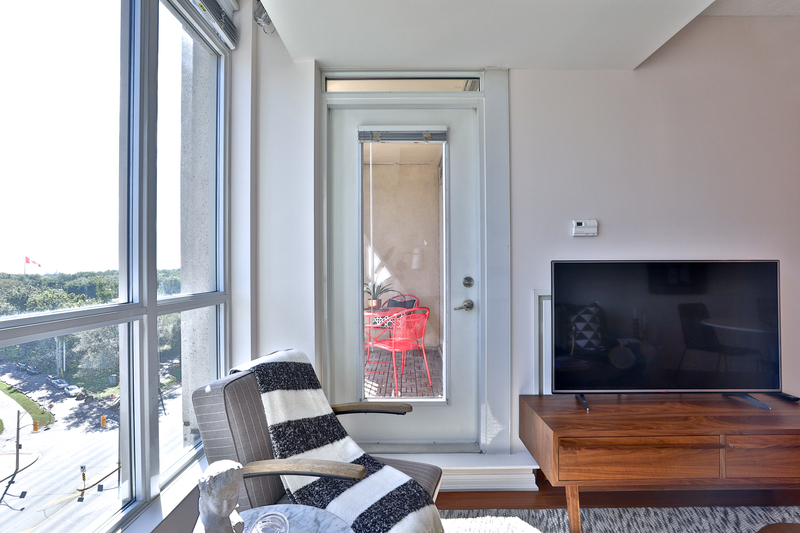 Two Walk-Outs To The South Private Balcony. 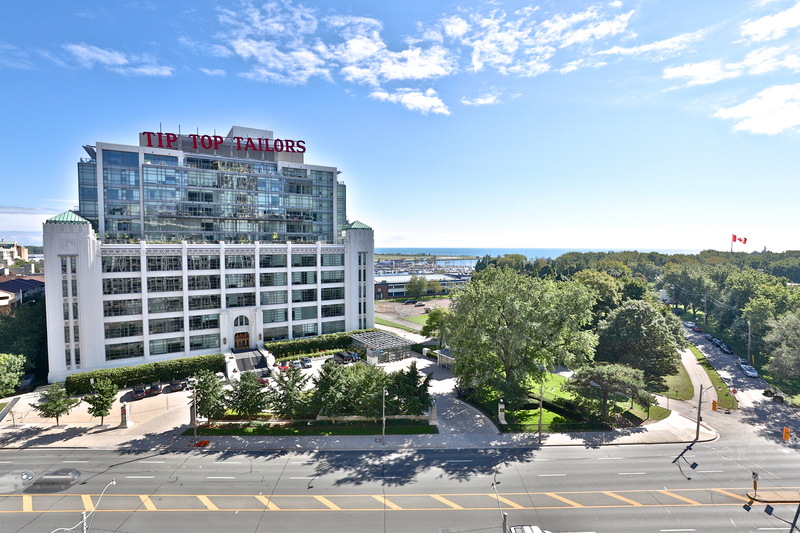 Touted as one the most impressive developments in the Fort York neighbourhood, this spectacular towering Art-Deco inspired condominium obtains its architectural flavour from the vintage Art-Deco industrial buildings nearby. 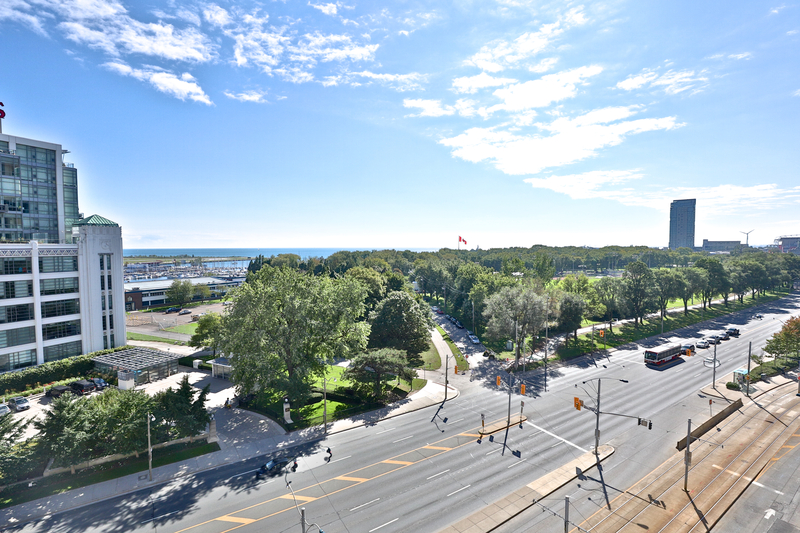 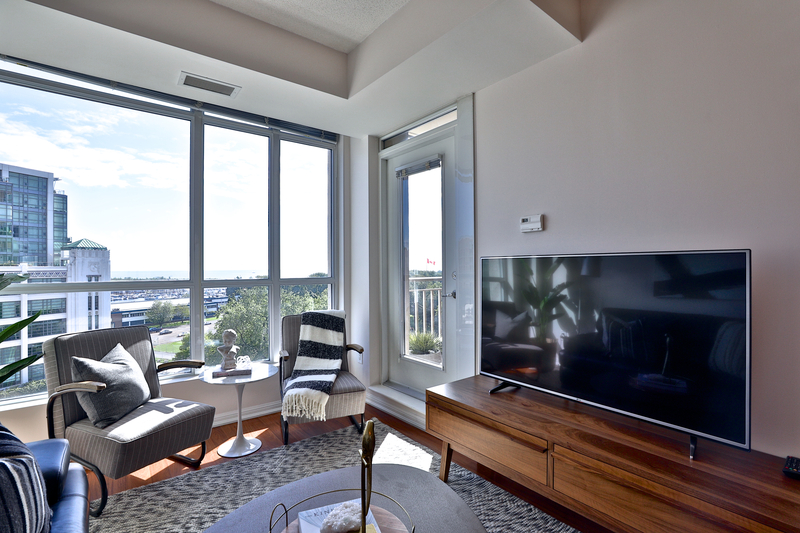 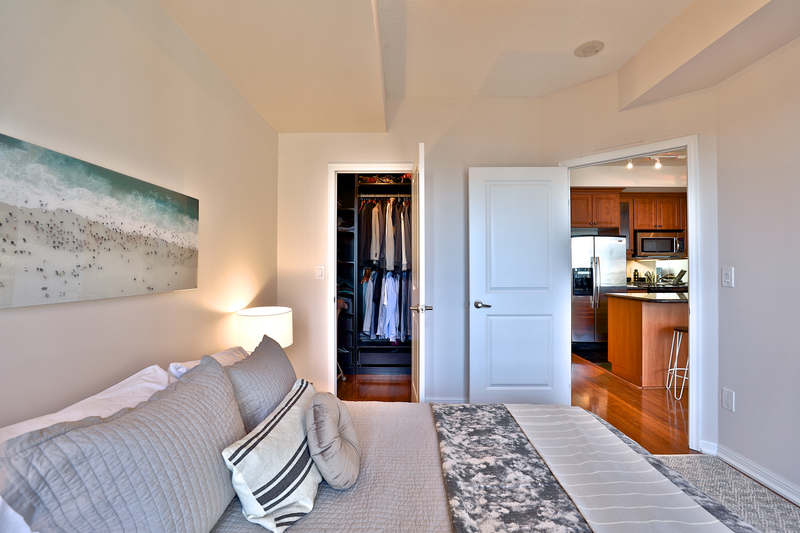 Residents will find stunning views of Lake Ontario and downtown. 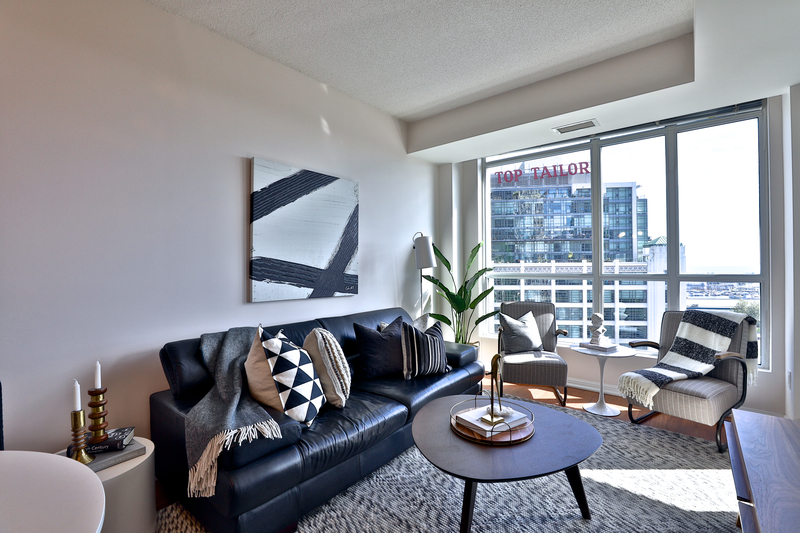 West Harbour City is built by Plaza Corp developers. 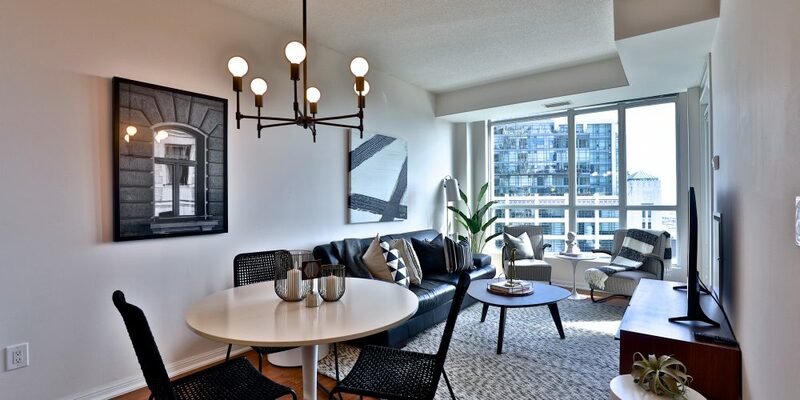 Interior design is by Bryon Patton and Associates of Toronto who specialize in upscale residential properties, and the architectural design was by Quadrangle Architects. 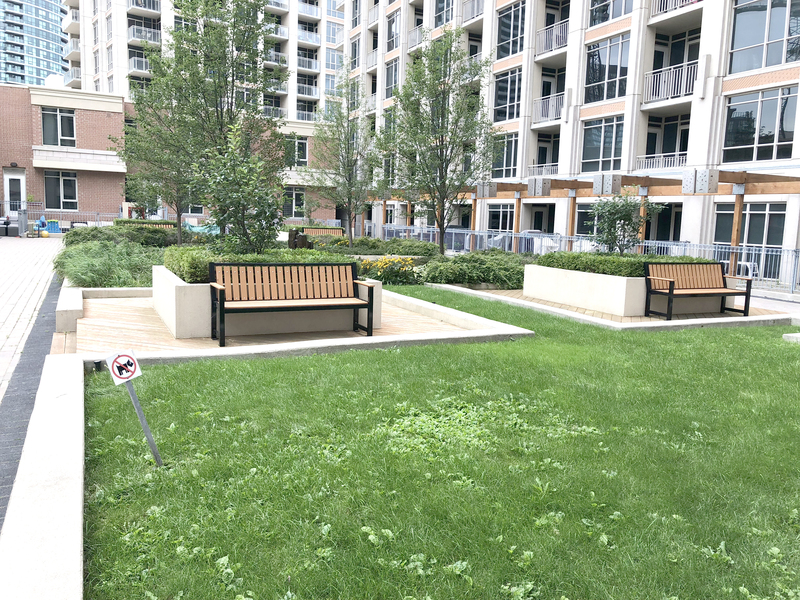 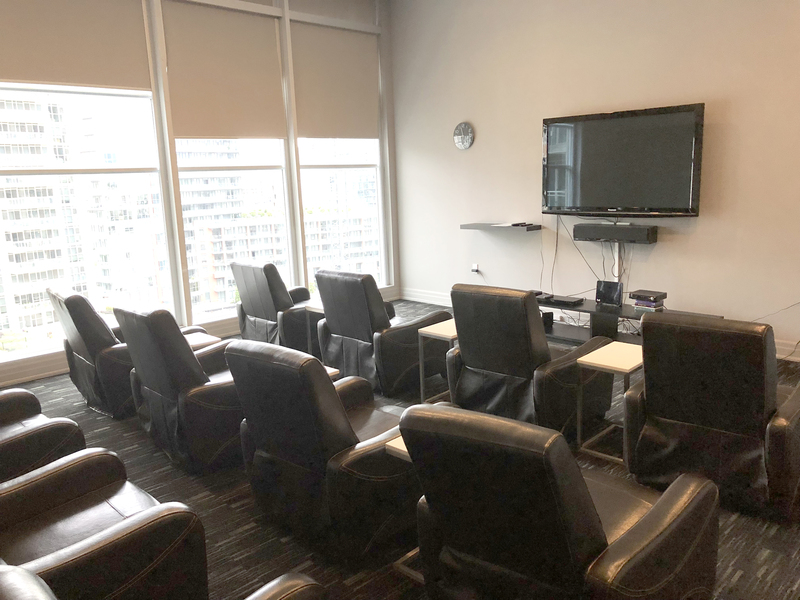 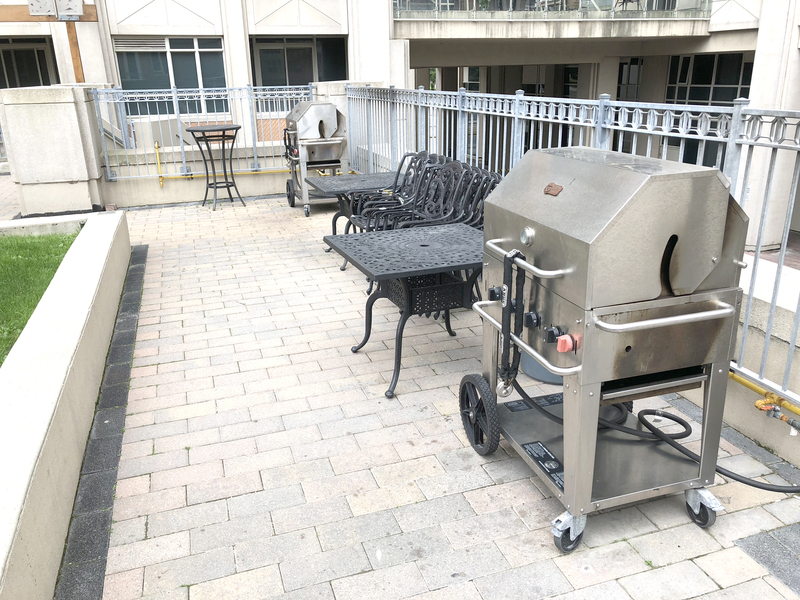 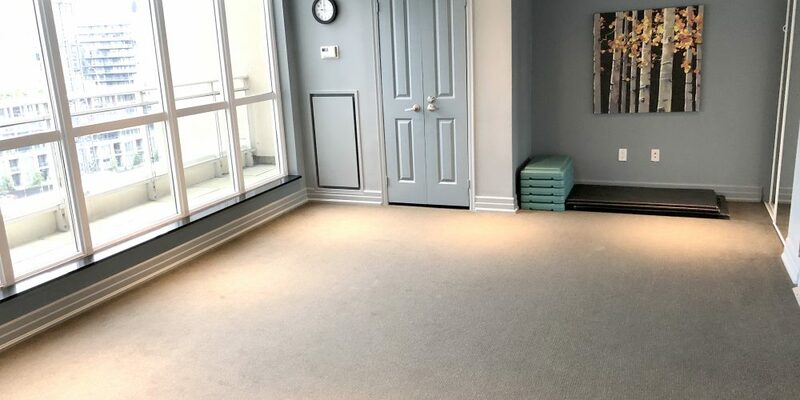 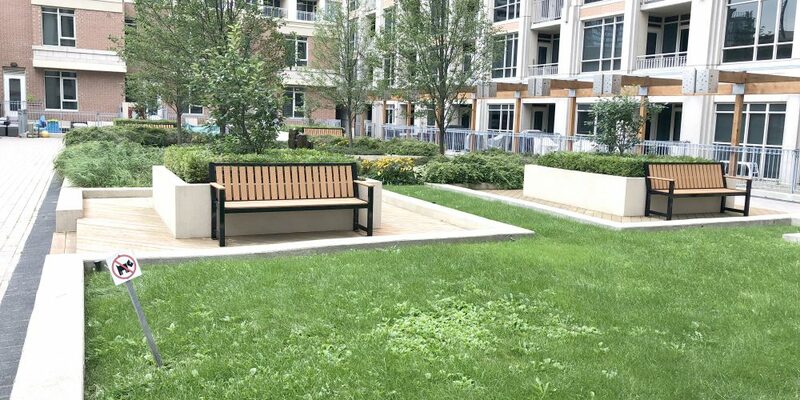 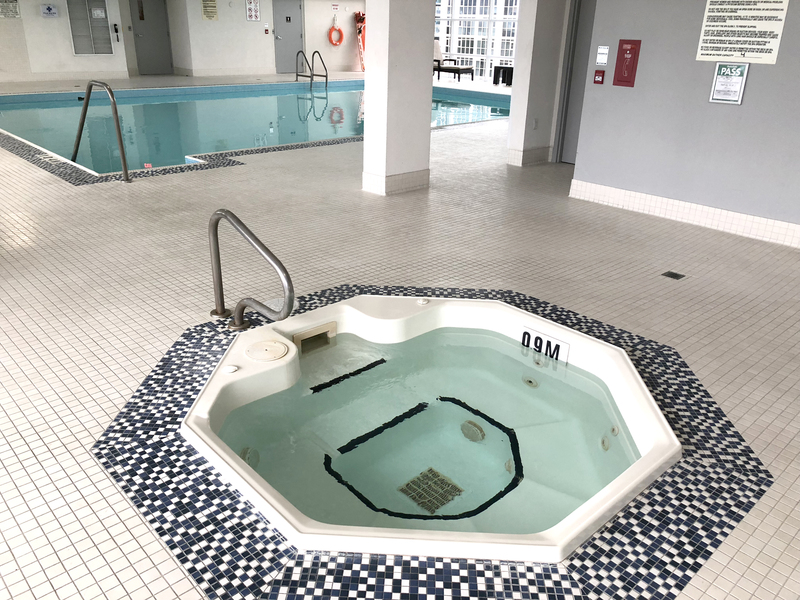 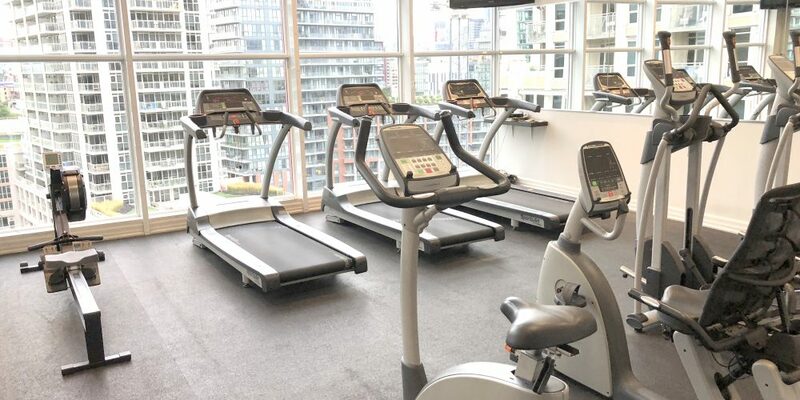 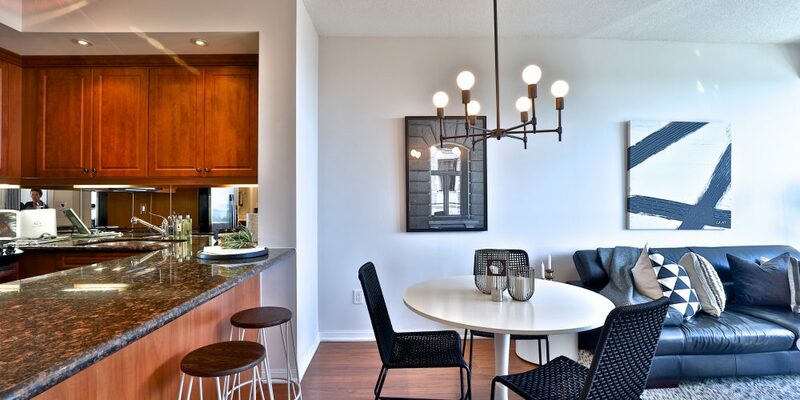 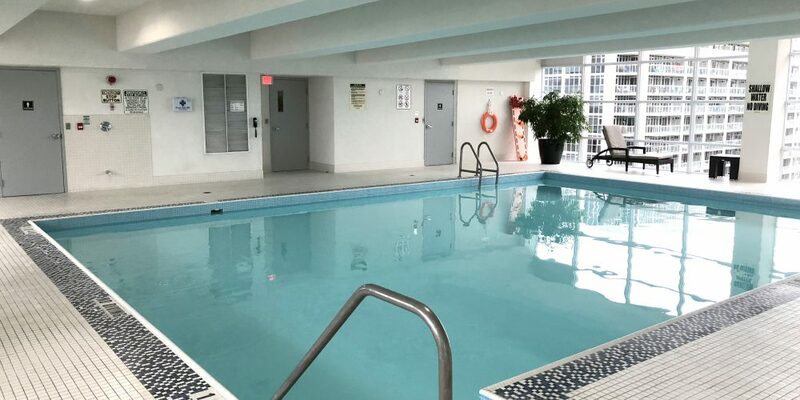 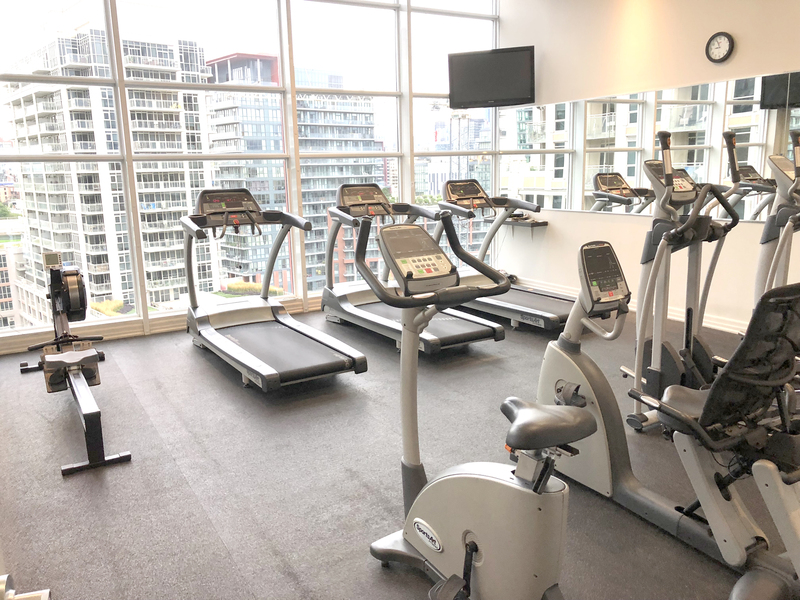 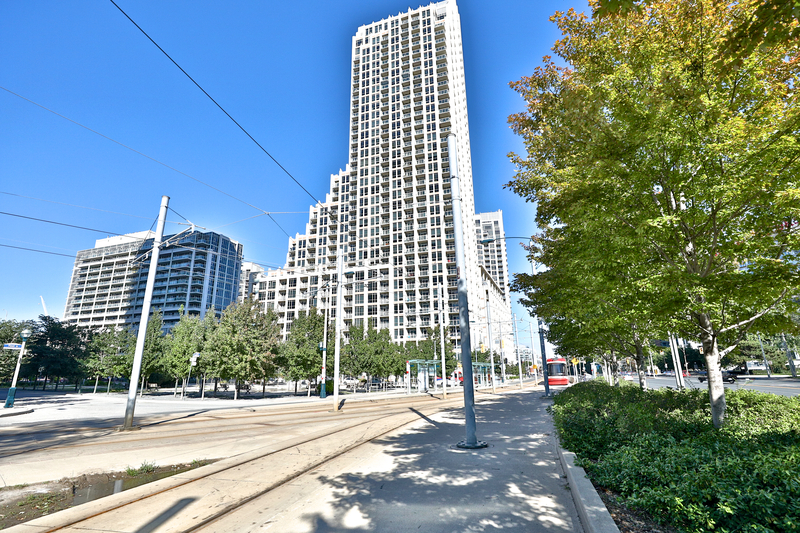 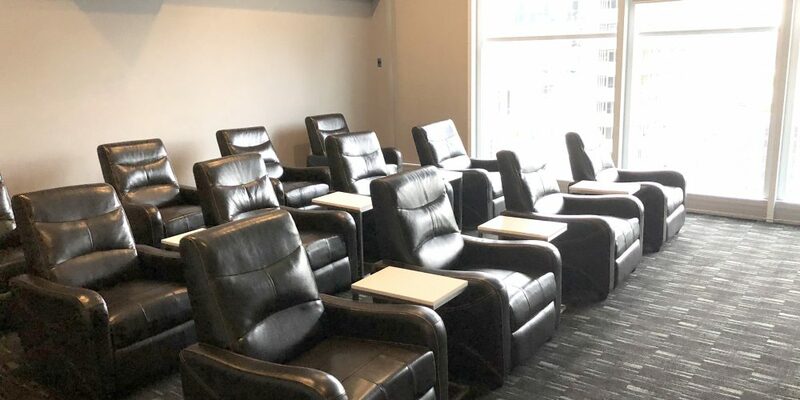 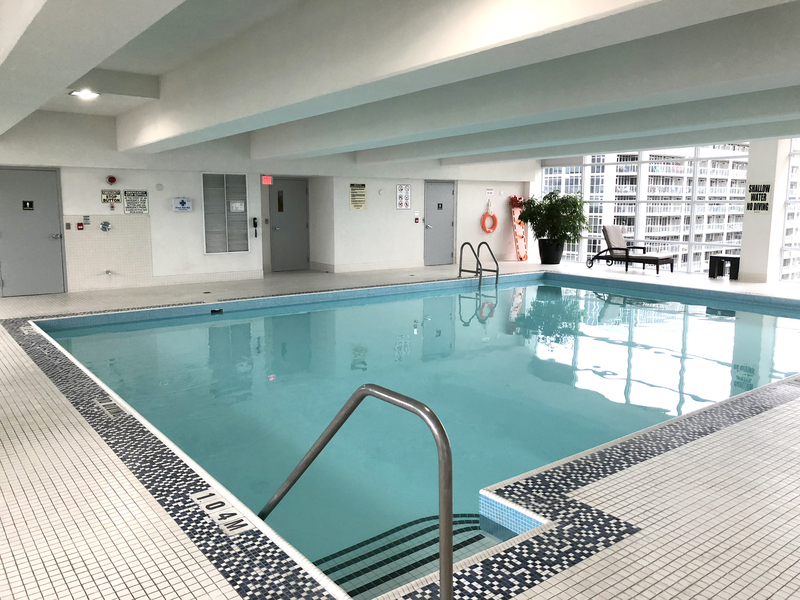 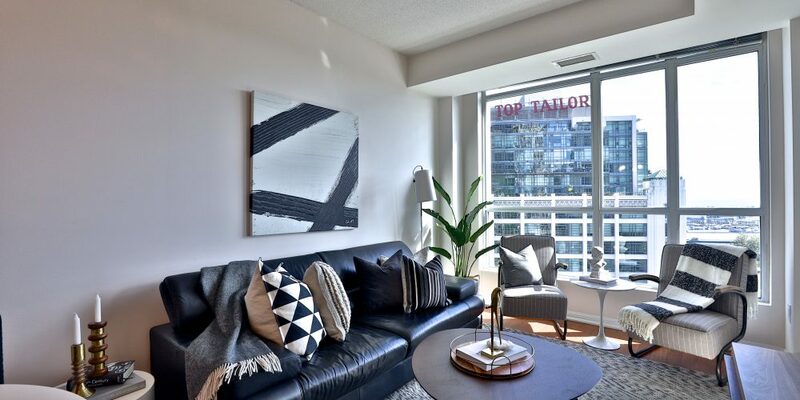 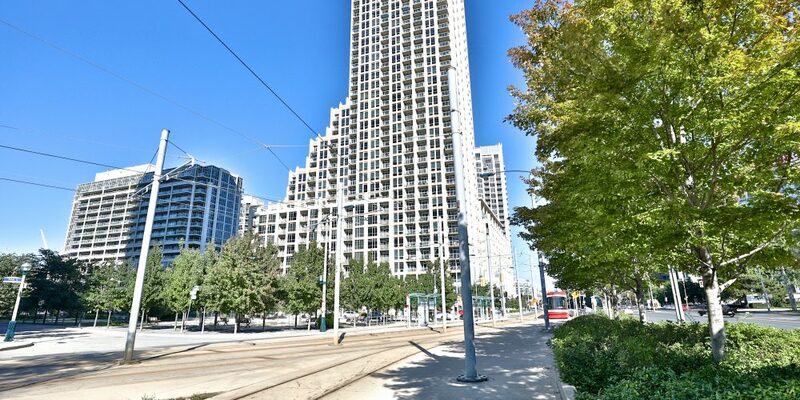 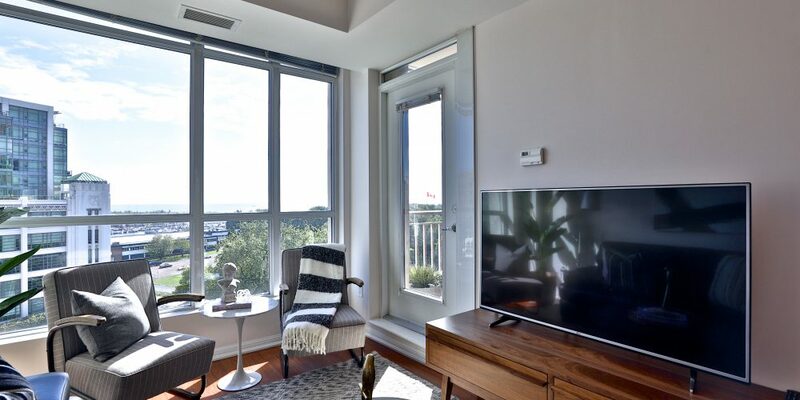 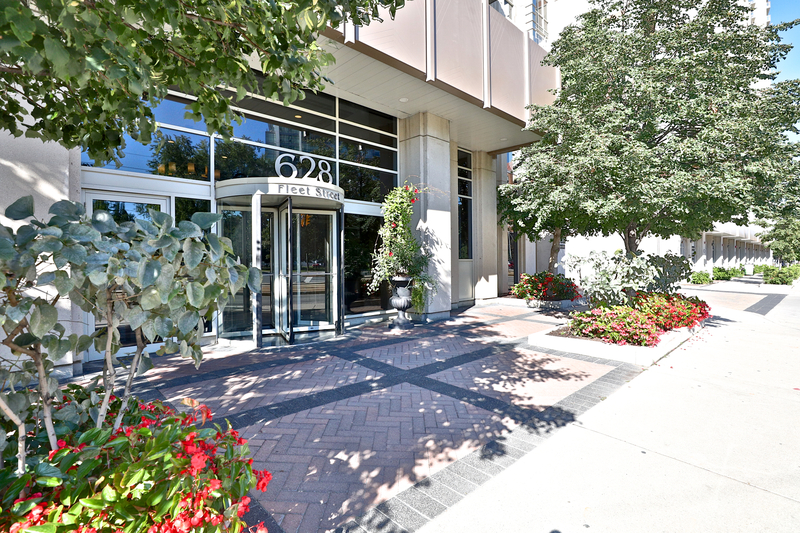 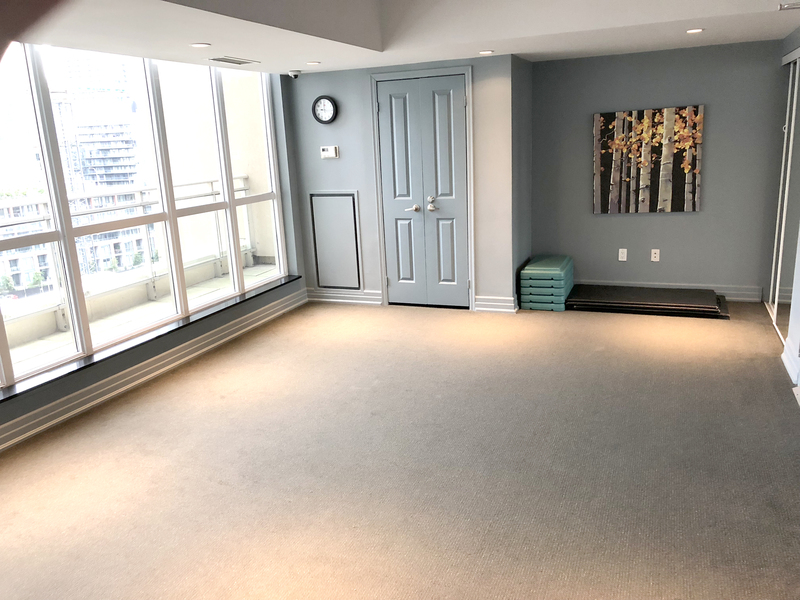 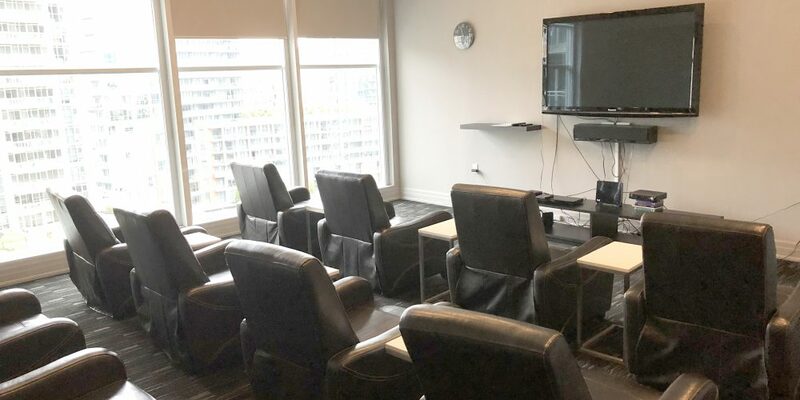 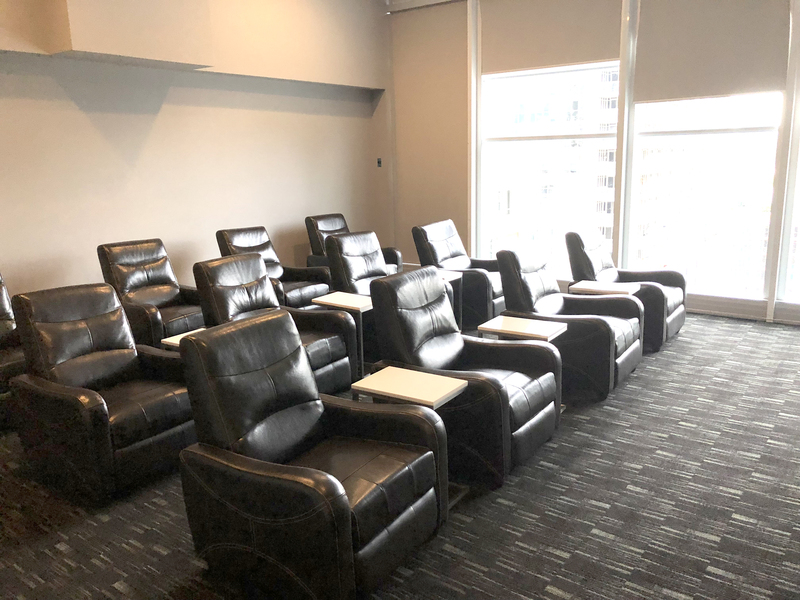 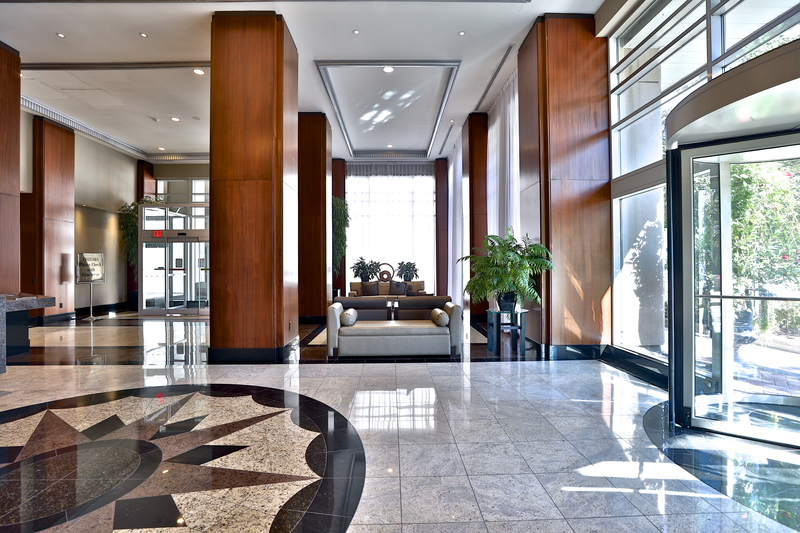 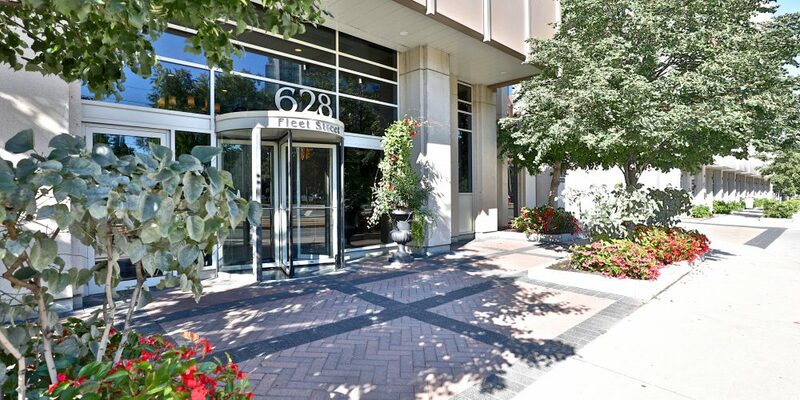 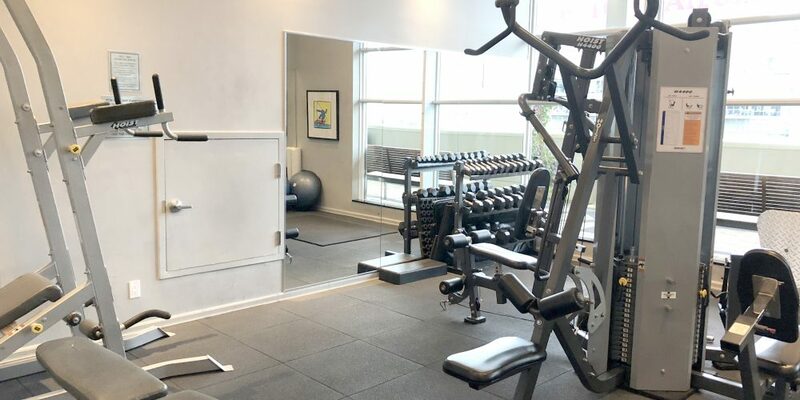 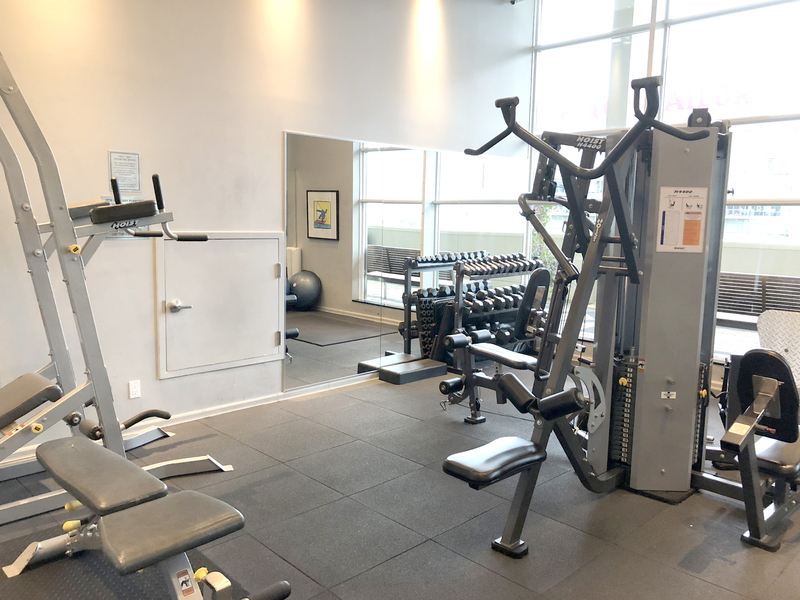 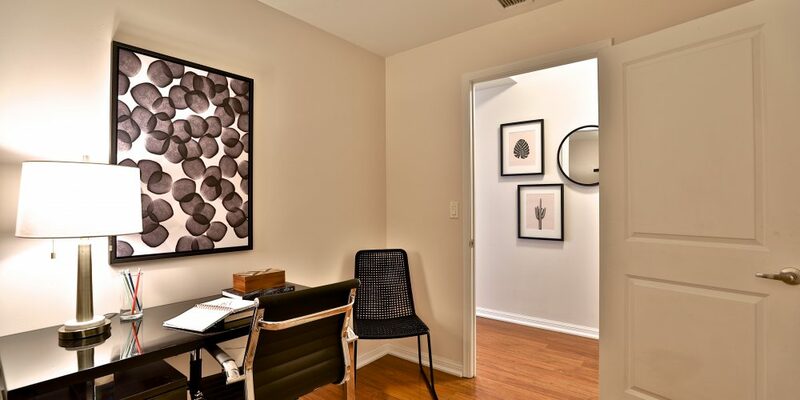 As you walk out of your fully secured ground floor lobby with a 24 hour concierge, you are steps away from Toronto’s popular Harbourfront, marina and its numerous parks. 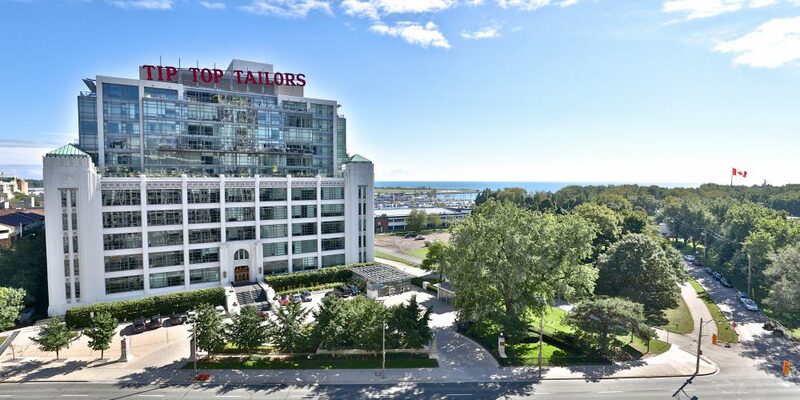 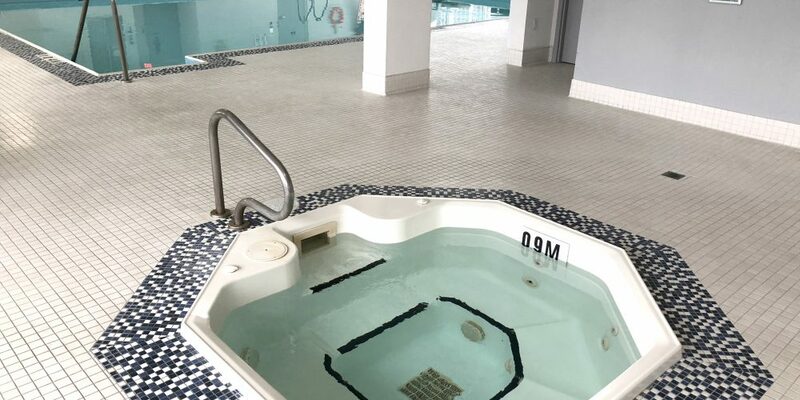 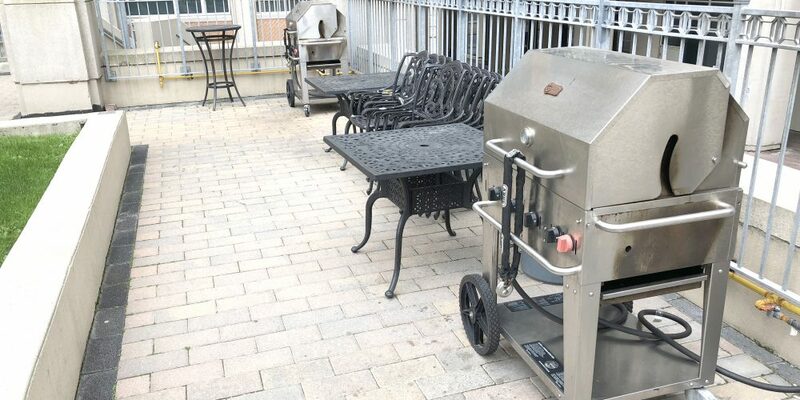 • 24 Hour concierge service • 11th Floor terrace facing Lake Ontario • Party room with billiards table, sofas and a fireplace • Dining room with kitchen access to patio • Indoor pool, hot tub with view of Lake • Theatre room with reclining loungers • Cardio room with separate weight room • Yoga room • Guest Suite • Courtyard with BBQ’s, table sets, benches and greenery • Ample visitor parking • Bike area.